The Gordon Rugby Club is pleased to announce the appointment of Darren Coleman as its Head Coach. Darren brings a wealth of knowledge and experience to the Club coaching role. He has spent the last twenty years coaching professionally in six countries. 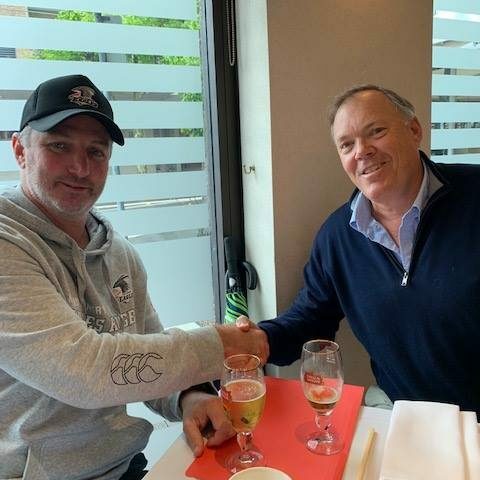 In eleven of those years he was the Head Coach and Director of Rugby for – The Toyota Shokki Company Team, The Eastern Suburbs Rugby Club and recently, with The Warringah Rugby Club, which won the 2017 Shute Shield Championship and were Grand Finalists in 2018. Since 2014 Darren also led the Rugby Program for the NSW Country Eagles in the newly created NRC (National Rugby Competition). In the few years since its inception the Eagles have been the most successful non-Super team, making the “play-offs” in two out of the four years and achieving the second highest win percentage in the history of the competition. Coleman is an outstanding communicator, who relates well to the modern – day rugby player. He has significant, detailed, technical expertise and is able to motivate players, individually and as a group. Darren’s ability to assess the skills of players and to tailor a playing style accordingly, is exceptional. In addition, he is organised, diligent and driven to succeed. This is a landmark appointment for Gordon as we start to build the Club back to its former glory. It is exciting to have Darren with us and we extend a warm welcome to the Gordon family.